In his autobiographical work Siegfried’s Journey Sassoon makes an interesting observation when describing his slowness in appreciating the ‘exceptional quality of [Wilfred Owen’s] poetic gift’. ‘Manuscript poems’, he writes, ‘can be deceptive when handed to one like school exercises to be blue pencilled, especially when one has played thirty-six holes of golf and consumed a stodgy hospital dinner’ (page 59). It seems that Sassoon was deeply aware of the aesthetics of his work in both manuscript and published form. 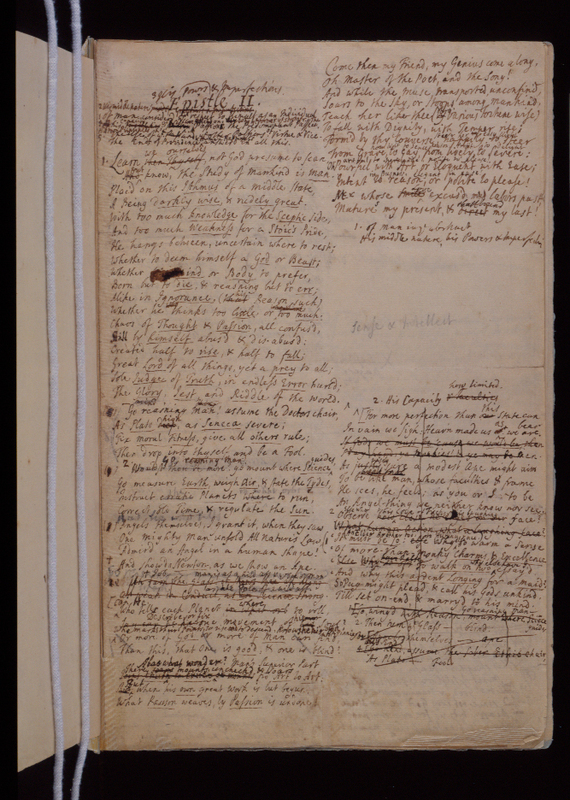 From childhood onwards many of his manuscript poems are to be found accompanied by his own diligently laid out watercolour decorations, and his attention to correcting printers’ proofs appear to show a concern for the visual impact of the printed word on the page. Is this perhaps an influence of his maternal Thornycroft artistic lineage?